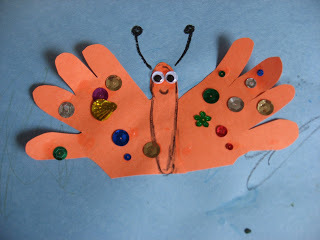 On day two of our Spring Fling week we are making something everyone loves, butterflies! My son had a lot of fun making this and really took his time. 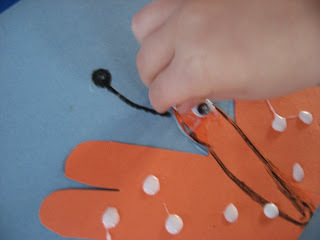 Adding small embellishments like the sequins add a fine motor activity to this project . 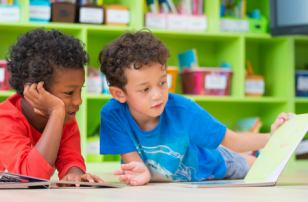 Learning about life cycles is an appropriate science topic for preschoolers and the butterfly life cycle is a great one to start with. Also make sure to pop over and see a slightly different and very adorable butterfly at Ramblings of a Crazy Woman. Gather your materials. 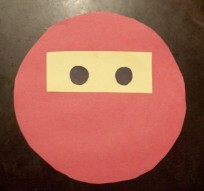 You will need 2 pieces of construction paper,scissors, crayons, glue,googly eyes and some sequins. 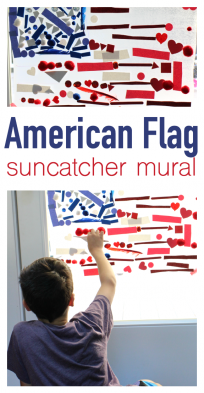 Start by tracing your child’s hands. 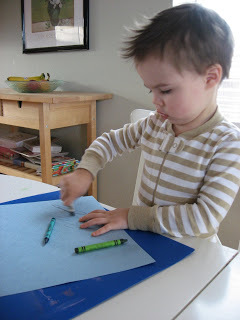 Next give them the 2nd piece of construction paper and have them draw whatever they want. While they create a butterfly habitat or just scribble ( it’s all great practice and creativity!) 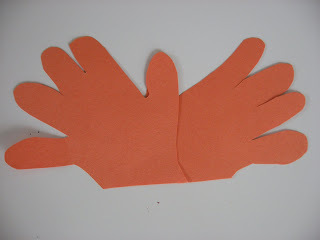 cut out the hands and lay the thumbs on top of each other. Trim the bottom so it looks like a butterfly glue together. 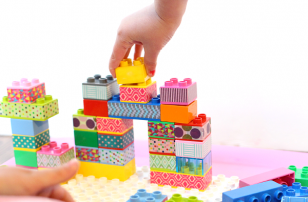 Older children can do this and should do the cutting if they can. 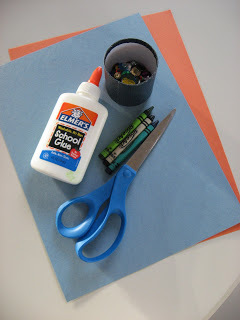 Glue onto the decorated paper. I used a crayon to outline where the body was and some antennae. Add the bling! Start with the eyes. Next add lots of beautiful sequins. 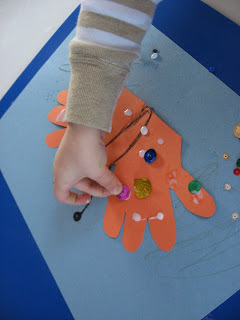 Picking up these tiny sequins is an awesome fine motor activity,encourage your child to pick them up making an O with their thumb and index finger,not by sliding them off the table. ” The Very Hungry Caterpillar” by Eric Carle is a classic, that most preschool teachers like myself can recite from memory. It really is a fantastic book, not only does it explain the life cycle of a caterpillar/ butterfly it also is useful for lesson about day of the week and healthy eating! It was a childhood favorite of mine and if the fact that he sleeps with his ” Pillar” every night is any indication it is already one of my son’s favorites too! 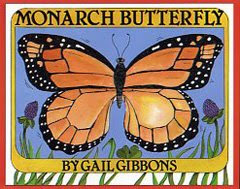 “The Monarch Butterfly” by Gail Gibbons is a small book filled with facts about these beautiful and amazing insects. 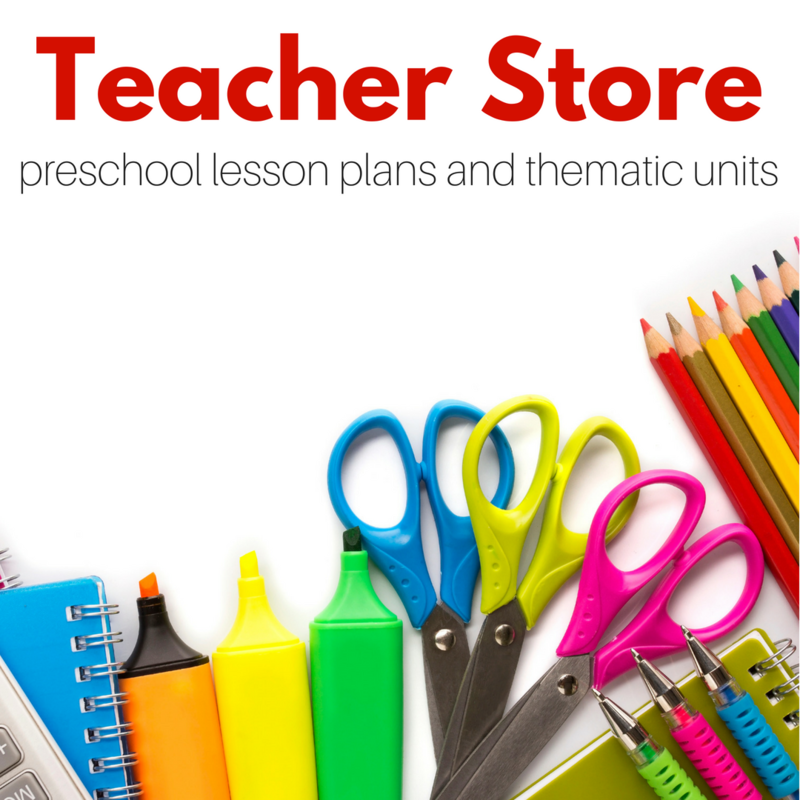 What makes this book a great non fiction pick for your preschooler is that the pictures are so descriptive that even young toddlers can sit ,look at the pictures and have you describe them without going into the text which is more appropriate for preschoolers. 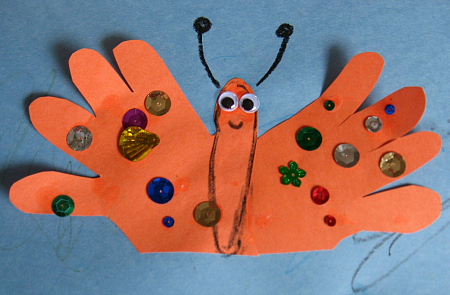 Preschoolers will love all the facts about these beautiful butterflies. 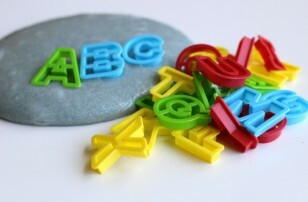 Next Post: Basics for Beginners ! Previous Post: Spring Fling Day 2! Color Match! Aw. I think we will make butterflies today. 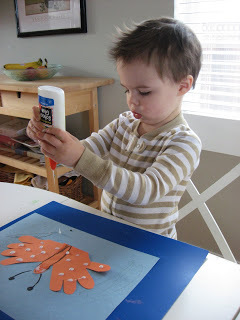 I have to do a handprint craft one of these days. 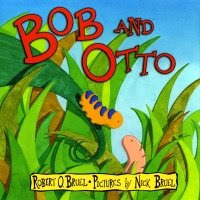 Have you read “Three Little Caterpillars”? It’s this really unique cute idea with a fuzzy caterpillar that moves from page to page through holes in the book (I’m explaining it terribly) with a popup butterfly at the end. My son is TERRIFIED of it! lol. I haven’t read it but my son especially when he was younger was very easily scared , so thanks for the heads up ! Wow I wish you were my childs teacher. You have the neatest Ideas and things to do. Love the song. My youngest will love that one!!! All day he was singing butterfly so nicely, then when the camera is going he channels some death metal. Gotta love toddlers! You are such a stinkin cute mom. 🙂 Thanks again for the great ideas. I want to be more like you! 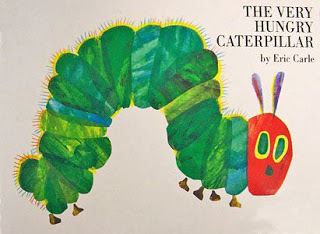 I just read that tomorrow (March 20th) is the 40th anniversary of ‘The Very Hungry Caterpillar’. 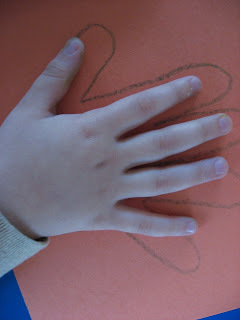 Very nice craft – especially for kids who love getting their hands traced! What a nice craft!!! We are going to do it right now! Thanks for sharing it! Super Cute! Will definitely be doing this later! Thanks for another awesome winner! 🙂 We used glitter paint for the win! AWESOME IDEAS! IT WAS EASY AND SIMPLE! MY CHILDREN LOVES IT!! !